If you are searching the residential roofing contractors serving the Maryville, Illinois area for a company you can rely on to provide the level of service you deserve, look to Daech & Bauer Roofing. We are a full-service roofer that serves both residential and commercial customers, and we have successfully completed more than 10,000 projects since we first opened our doors. Our passion for our work is reflected in the exceptional service we provide, the quality products we offer, and the precision our technicians use on every job. What’s more, we are one of the only roofing companies in the area that has earned Owens Corning™ Preferred status, and we utilize Owens Corning’s Total Protection Roofing System®. This system includes a waterproof barrier to prevent rot and mold, strong adhesion to protect against blow-offs, and optimized attic ventilation to reduce heat and moisture buildup and manage attic temperatures. 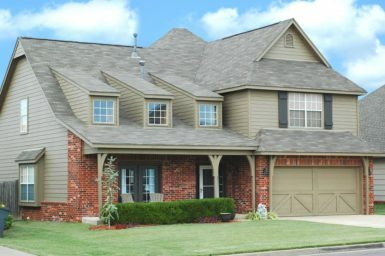 If the roof on your home in the Maryville, IL, area needs to be repaired or replaced, contact the residential roofing contractors at Daech & Bauer Roofing today. Be sure to ask about the convenient financing programs we offer to those who qualify.